Why have I been prescribed Innovace? Your blood pressure is too high (see section 6 'Further Information' for general guidance on high blood pressure). You have a heart condition sometimes referred to as 'heart failure'. This means that your heart is not working as well as it used to, in order to pump blood around your body, leading to tiredness after light physical activity, breathlessness and swelling of your ankles and feet. 'Innovace' may help treat these symptoms (see section 6 'Further Information for general guidance on heart failure'). In many patients with a damaged heart muscle, but who have no symptoms, 'Innovace' may help to prevent the appearance of symptoms such as shortness of breath and swelling. Innovace belongs to the group of medicines called Angiotensin Converting Enzyme (ACE) Inhibitors. ACE inhibitors work by helping to widen your blood vessels, which then make it easier for your heart to pump blood through them. You can swallow your tablets with or without food. Most people take 'Innovace' with a drink of water. The initial dose is 5 mg per day up to 20 mg per day depending on your blood pressure. In patients with blood pressure levels slightly above normal the recommended dose is 5-10 mg per day. For patients with kidney problems, heart problems, low salt and or fluid levels a starting dose of 5 mg or lower should be used. If you are currently taking high dose diuretics (water tablets), your doctor may ask you to stop taking them 2-3 days prior to taking 'Innovace'. A starting dose of 5 mg or lower is recommended. Once your blood pressure is under control, the usual maintenance is 20 mg daily up to a maximum of 40 mg daily. In patients with heart problems, 'Innovace' is used in addition to diuretics and where appropriate, with digitalis (a drug used in congestive heart failure or for an erratic heartbeat) or beta-blockers (drugs used to treat high blood pressure, angina and heart problems). The initial dose is 2.5 mg and should be gradually increased, to the usual maintenance dose of 20 mg given in a single dose or two divided doses, over a 2 to 4 week period. The maximum dose is 40 mg daily given in two divided doses. If you are taking any of the following drugs, you should talk to your doctor before you first start taking 'Innovace' as your doctor may need to alter the dosage of your medication. Potassium sparing diuretics such as spironolactone, eplerenone, triamterene or amiloride; potassium supplements, or potassium-containing salt substitutes. 'Innovace' may increase the levels of potassium in your blood leading to hyperkalaemia. Mild hyperkalaemia causes few, if any symptoms and is usually diagnosed by a blood test or on an electrocardiogram. Use of these type of medicines in patients with kidney problems may lead to a significant increase in potassium in the blood with can cause serious side effects. Diuretics such as thiazides, loop diuretics such as frusemide, bumetanide, other antihypertensive agents and nitroglycerine, other nitrates, and other vasodilators; concomitant use with 'Innovace' may cause hypotension (low blood pressure). Lithium, a drug used for the treatment of some psychiatric illnesses. 'Innovace' should not be taken with this drug. Tricyclic antidepressants such as amitriptyline (used for treating depression), antipsychotics such as phenothiazine derivatives (for alleviating severe anxiety), narcotics such as morphine (used to treat moderate and severe pain), or anaesthetics. Additional lowering of your blood pressure may be seen when these drugs are taken with 'Innovace'. Medicines used to relieve pain, stiffness and inflammation associated with painful conditions, particularly those affecting the muscles, bones and joints. Including gold therapy which can lead to flushing of the face ,nausea, vomiting and low blood pressure when taken with ACE inhibitors including 'Innovace', and non-steroidal anti-inflammatory drugs (NSAIDs) such as diflunisal or diclofenac which when taken with 'Innovace' may prevent your blood pressure from being well controlled and may increase the level of potassium in your blood. Sympathomimetics, drugs such as ephedrine, noradrenaline or adrenaline used for the treatment of hypotension, shock, cardiac failure, asthma or allergies. Taken with 'Innovace' these drugs may keep your blood pressure elevated. Antidiabetic agents such as insulin, used to lower blood sugar levels. 'Innovace' may cause your blood sugar levels to drop even further when taken with antidiabetic drugs. 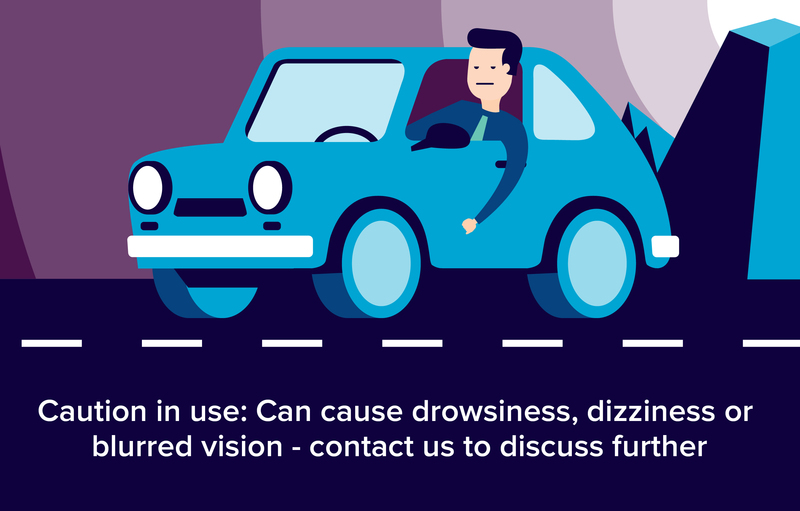 if you drink alcohol while taking 'Innovace', it may cause your blood pressure to drop and you may experience dizziness, light-headedness or faintness. You should also keep your alcohol intake to a minimum. The use of Innovace in breast-feeding is not recommended for preterm infants and for the first few weeks after delivery. In case of an older infant, the use of Innovace in breast-feeding mothers may be considered if this treatment is necessary for the mother and the child is observed for any adverse effect.